Grapefruit essential oil is considered a powerful antioxidant, helping to scavenge free radicals. The astringent properties assist in reducing obesity, cellulite, and tightening pores on the face, resulting in a more youthful complexion. The inherent disinfectant properties make grapefruit oil suitable for oily and acne prone skin. It also acts as lymphatic tonic, cleansing and boosting its function, thus improving the immune system. It is considered a stimulant that increases mental agility and memory. 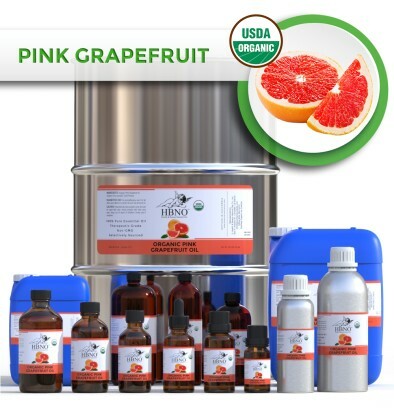 HBNO is pleased to offer pink grapefruit essential oil in bulk and wholesale quantities. We can supply any amount of oil to anywhere in the world.